Time has absolutely flown by. Feels like it was just yesterday I was bawling wondering if I’d ever get better. Feels like yesterday I was unable to crouch down, walk, breath without getting winded, sweating even in -15 degree weather and all the other complications Cushing’s Disease brings. Now, I am looking better and feeling better in a lot of aspects but don’t be fooled by it. I still have A LOT of days where I wake up and my body is aching . My memory still isn’t great. I’m still filled with brain fog. I have days I am exhausted and can’t do anything all day because I have absolutely no energy. I can’t be out for too long, I can usually last an hour with decent energy and then it quickly goes. I get sleepy really early. My body is in overdrive re-adjusting and trying to learn what normal is again. Except I’ll never be “normal” again. The tumour may be removed, but Cushing’s, one way or another, always stays with the ones who suffered through it. I still look in the mirror and think I look like the photo I took the morning of surgery. It’s really hard to see improvements within yourself. Clothes are slowly fitting better but they’re not fitting like they used to. Feels like it is taking forever. I want energy to go back to the gym, go on walks all the time and be really active. But I need to continue being patient. Before I know it, I’ll be back living somewhat normally. I have intense eczema flare-ups and my anxiety is horrible – things that *should* improve after tumour removal but can become worse before getting better. It’s all a process but it’s making me an even stronger person. Check out my progress down below! 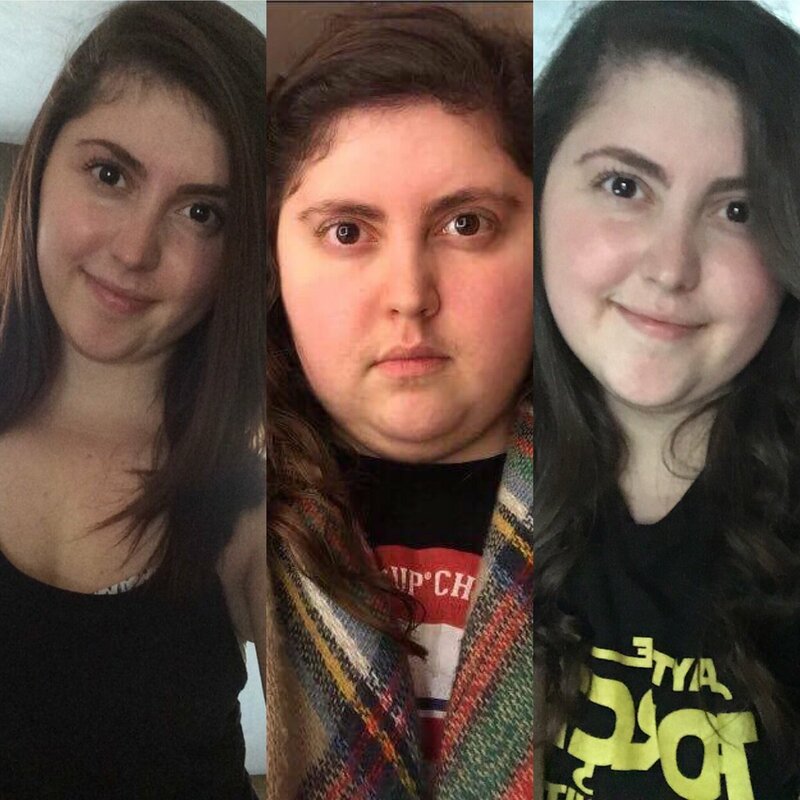 Although the middle photo was taken the morning of my surgery, that’s what I looked like most of the end of 2016. Right photo was taken yesterday. I’ve truly come so far, physically 🙂 Can’t wait to see what the next 3 months will be like! Thanks for following my journey and for all of the support!